EEMS Transponder salvage operation. Watch video. 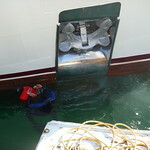 Superyacht hull cleaning. Go to album.